The human body has more than 640 muscles. Your muscles have very important functions, caring for them should be of high priority. One way to care for your muscles is through massage therapy. This is a natural way of relieving stress, chronic pain, and make your body feel better. Massage therapy is of various types because the muscles under your skin are different. One should always go for a massage therapy to regulate blood circulation and get rejuvenated. Here are 12 different body massages you should know about. This encompasses the touch and body movement techniques, which trained experts use in healing the painful bones. Therapists undergo hours of training before being certified. These training will depend on the areas they intend to focus. Once this training is completed, they can offer services to those who require it. Some pressure is applied to the particular part of the body to correct the situation you are going through. In traditional Chinese medicine, the point where this pressure is applied is called energy channels. This involves holding the head lightly and gently touching along the sacrum and spine. This is a restorative and soothing treatment to ease tension and stress. It brings your body back to check or balance. Next time you are feeling stressed out, try this massage therapy as stress buster. If you are having lasting aches or chronic pain, the deep tissue massage therapy will relieve the pains. It works deep to the deepest part of your body. Do you have a knot in your groin, this technique is perfect especially for recurring back pain because of your constant sitting in the office. Flat, smooth, and heated stones are positioned on your back within trouble areas or pressure points. They help in loosening the muscles and passing heat deep to your body. Sometimes, the stones might be used for minimal massage. After some time, after resting a little and shiatsu massage or traditional Swedish massage is applied, they are removed. Be it post or prenatal, pregnancy massage is important as it relieves you from low back pain, swelling, stress, and headaches. It is the perfect way of providing tender care to your hard-working body as it goes through pregnancy changes. This word is translated in Japanese as “Finger Pressure.” The principle behind this massage is the same with that of acupuncture and acupressure by creating movement within the body’s energy channels. The benefits of this massage include increased circulation, promotion of deep relaxation, and joining kneading movement. Are you a competitive sprinter or weekend jogger, undergoing regular activity causes your body to wear and tear. Using sports massage therapy will help your body prior or after a competition or athletic event. This therapy helps you to fight against muscle strain, improve flexibility and heal injuries. Who doesn’t know about this massage? It comprises of five body strokes made to heal, relax, promote circulation, and maintain your overall health. Your body also benefits from this massage therapy. In this massage therapy, therapists make use of their hands, fingers, feet (walking on your body), forearms, and elbows to apply pressure to energy points. This is beneficial to every part of your body. Your body is stretched to ease stress, gain relaxation, flexibility, and improve circulation of blood. This is the manipulation of the pressure points within your feet to relieve signs of corresponding part of the body. Another Japanese word meaning “life force energy.” The aim of the therapist is to move energy all over your body thereby improving your immune system, creating health, and clearing any emotional pain. Which one of these massages intrigued you the most? Take any of these massages and you will fall in love with them. Also Read: 11 phenomenal facials that will leave you amazed with their results !!! 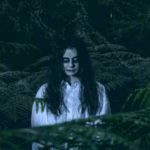 Previous article 13 Places Around The World Where You Can See A Real Ghost! 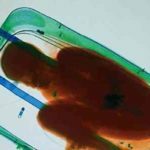 Next article 15 Weird Things Found During Airport Security Checking!